A good topic selection plan begins with a general orientation into the subject you are interested in pursuing in more depth. Although finding a good research question may initially feel like looking for a needle in a haystack, choosing a general topic is the first step. Pick an area of interest; pick an area of experience; or, pick an area where you know there is a need for more research. It may be easier to start with “what” and “why” questions and expand on those. For example, in Nursing: what is current research on obesity and why is it significant to nursing and health sciences? Or, in Education: what is media literacy and why is it significant to education sciences? If you are a teacher or other education practitioner, you might think about a current problem in the workplace such as, classroom management or parent interaction and expand from there. Nurses may want to consider a current issue in a clinical or hospital setting, like hand washing or patient falls. Read departmental information on research interests of the faculty. Faculty research interests areas vary widely, so do some research on their past publications. Most departmental websites post faculty CVs. Read a research paper that interests you. The paper’s literature review or background section will provide insight into the research question the author was seeking to address with his/her study. Is the research incomplete, imprecise, biased, or inconsistent? As you’re reading the paper, look for what’s missing. These may be “gaps in the literature” that you might explore in your own study. The conclusion or discussion section at the end may also offer some questions for future exploration. A recent blog posting in Science (Pain, 2016) provides several tips from researchers and graduate students on how to effectively read these papers. Sift through the table of contents of annual reviews journals in your area of interest – such as, the Annual Review of Psychology, the Annual Review of Immunology, the Review of Research in Education, or the Annual Review of Nursing Research. Identify and browse journals related to your research interests. Faculty and librarians can help you identify relevant journals in your field and specific areas of interest. Although it’s a good idea to avoid subjects that are too personal or emotional as these can interfere with an unbiased approach to the research, it’s also important to make sure you have more than a passing interest in the topic. You will be with this literature review for an extended period of time and it will be difficult to stick with it even under the best circumstances. A graduate student in psychology said, “‘My advice would be to NOT choose a topic that is an unappealing offshoot of your adviser’s work or a project that you have lukewarm feelings about in general…It’s important to remember that this is a marathon, not a sprint, and lukewarm feelings can turn cold quickly.’” (Dittman, 2005). At this point, you will want to do an initial review of the existing literature to see what resources on your topic or question already exist. Based on what you find, you may decide to alter your question in some way before going too far along a path that perhaps has already been well-covered by other scholars. 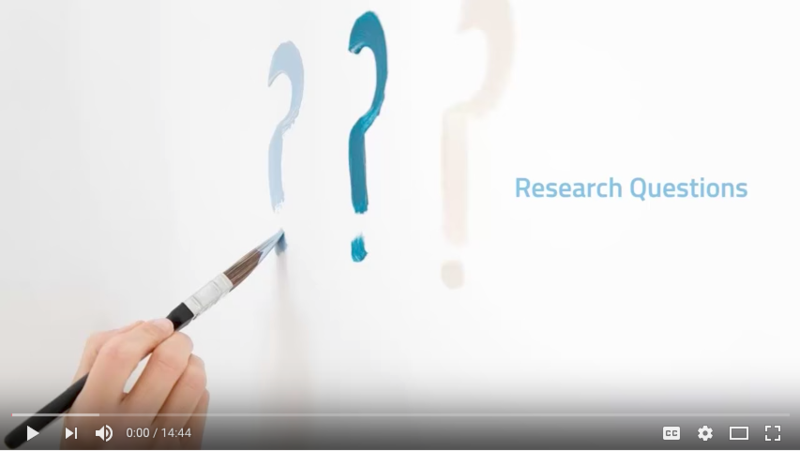 Some things to keep in mind at this beginning stage of the research process is whether your literature review will be in the form of a research question or a hypothesis. One way to determine that outcome is to compare the two and decide which format will work best for you. For example, if the area you are researching is a relatively new field, and there is little or no existing literature or theory that indicates what you will find, then your literature review will likely be based on a research question. Your question should also imply possibilities for empirical testing–remember, metaphysical questions are not measurable and a variable that cannot be clearly defined cannot be tested. Decide what type of relationship you would like to study between the variables. Now, try to express the relationship between the concepts as a single sentence–in the form of either a research question or a hypothesis. Once you have selected your topic area and reviewed literature related to it, you may need to narrow it to something that can be realistically researched and answered. In addition to asking Who, What, When, Where, Why, and How questions, other types of questions you might begin to ask to further refine your topic include those that are: Descriptive, Differential or Comparative, Associative or Relational. Comparison: What is the alternative to the intervention (e.g. placebo, different drug, surgery)? For example, how does a sample group that is assigned homework compare to a similar group that is not assigned homework? Outcome: What are the relevant outcomes (e.g. morbidity, death, complications)? For example, how do lower cholesterol numbers or improved scores in spelling impact the target population? 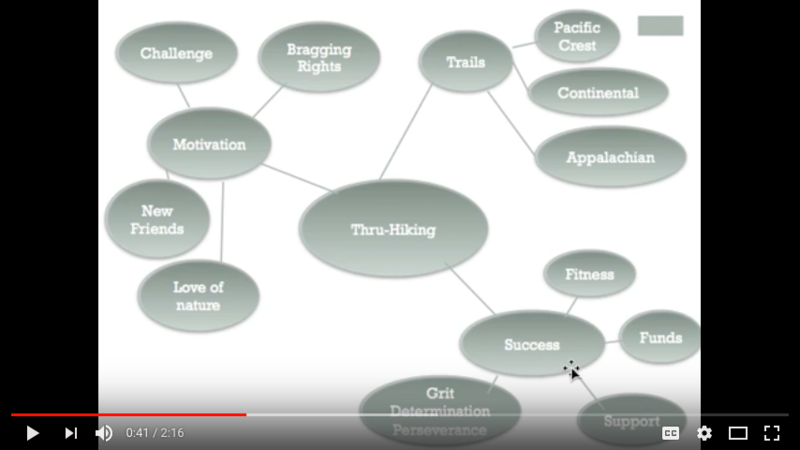 Likewise, developing a concept map or mind map around your topic may help you analyze your question and determine more precisely what you want to research. 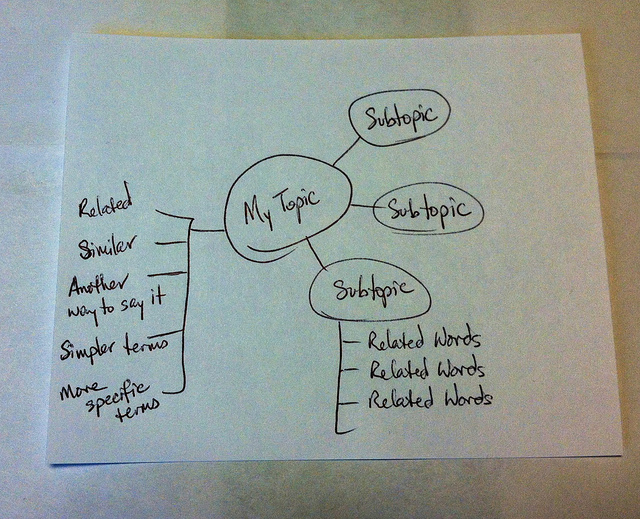 Using this technique, start with the broad topic, issue, or problem, and begin writing down all the words, phrases and ideas related to that topic that come to mind and then ‘map’ them to the original idea. This mapping technique aims to improve the “description of the breadth and depth of literature in a domain of inquiry. It also facilitates identification of the number and nature of studies underpinning mapped relationships among concepts, thus laying the groundwork for systematic research reviews and meta-analyses.” (Lesley, Floyd, & Oermann, 2002; D’Antoni & Pinto Zipp, G., 2006). Its purpose, like the other methods of question refining, is to help you organize, prioritize, and integrate material into a workable research area; one that is interesting, answerable, realistic in terms of resource availability and time management, objective, scholarly, original, and clear. In addition to helping you get started with your own literature review, the techniques described here will give you some keywords and concepts that will be useful when you begin searching the literature for relevant studies and publications on your topic. For example, perhaps your initial idea or interest is ‘how to prevent obesity.’ After an initial search of the relevant nursing literature, you realize the topic of ‘obesity’ is too broad to adequately cover in the time you have to do your literature review. You decide to narrow your focus to ‘causes of childhood obesity.’ Using PICO factors you further narrow your search to ‘the influence of family factors on overweight children.’ A potential research question might then be “What maternal factors are associated with toddler obesity in the United States?” You’re now ready to begin searching the literature for studies, reports, cases, and other information sources that relate to this question. “ What forms of parent involvement are most highly correlated with children’s outcomes? What factors might influence the extent of parental involvement?” (Early Childhood Longitudinal Program, 2011). Take a general topic such as “Reading Comprehension” or “Hospital Falls” and identify a slightly more narrow concept by using the questions provided in the worksheet. Is your question or hypothesis interesting, answerable, and clear? Ask a classmate to read your question or hypothesis and explain to you what the research will be. Good question? | Bad question? | Why? Education: What are the characteristics of rural adult learners in an adult education program? Education: How does the U.S. Department of Education serve rural learners? Look at these recent publications in the literature for nursing and education. Can you spot the research question? Which PICO factors were used in each example? Nursing: Workplace Hazards Faced by Nursing Assistants in the United States: A Focused Literature Review. (Walton, A., & Rogers, B., 2017). Nursing: What are the family needs when a parent has mental health problems? Evidence from a systematic literature review. (Wahl, et al., 2017). Education: Music in Peacebuilding: A Critical Literature Review (Sandoval, 2016). Nursing: Health literacy programs for older adults: A systematic literature review (Manafo & Wong, 2012). Education: English language learners and reading instruction: A review of the literature. (Snyder, Witmer, & Schmitt, 2017). Nursing: Cultural interventions to treat addictions in indigenous populations: Findings from a scoping study. (Rowan et al, 2014). See the Answer Key for the correct response. Are females smarter than males? Do females aged 18-36 score higher on the Graduate Record Exam than adult males between the ages of 18-35? Five methods of assessing nursing students’ critical thinking skills within the context of clinical practice are: 1) Observation, 2) Questions, 3) Conferences, 4) Problem-solving strategies, and 5) written assignments. The literature is reviewed on each of these methods. Critical thinking is an important competency needed by nursing students. Varied methods can be used for assessing critical thinking. Question 4. This is the research question: What impact has the No Child Left Behind (NCLB) program had on high school graduation rates? What information sources will I need to find to begin my literature review? 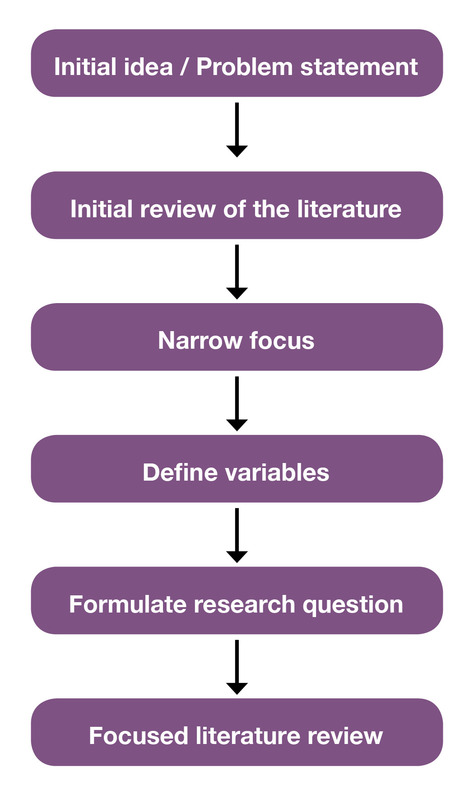 Choose A, B, C, or D.
Previous: Chapter 2: What is a Literature Review?